Visit this fully functional winery and premier event venue in Williamsburg to taste seasonal New American shared plates carefully curated to pair with handcrafted premium wines made on site. Family-style dining. Rustic wine bar serves wine made on site, including small batch wines available exclusively on tap. Closed Fri.–Sun. for private events. 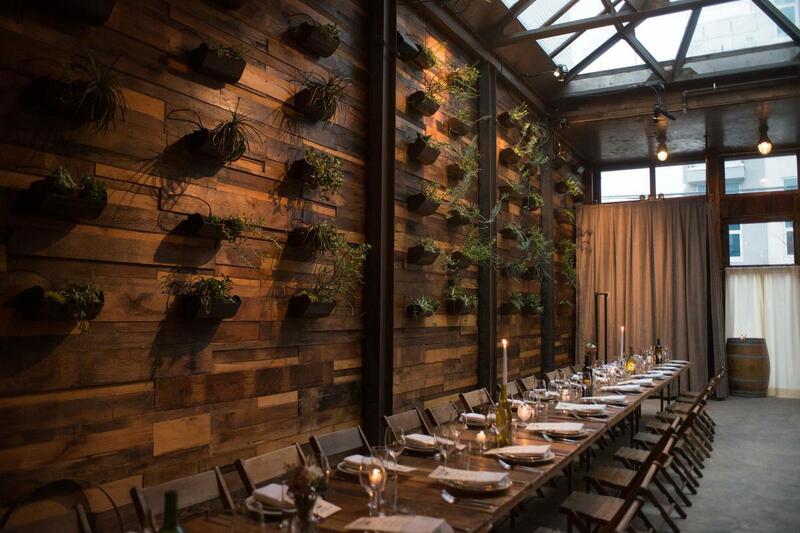 A rustic, elegant space ideal for corporate and private events, serving wine made on site. Function rooms, 4; capacity 15–160 theater, banquet or classroom, 25–250 cocktails; total 4,000 sq. ft.